Anne Robertson was a leading archaeologist of the Roman period and a distinguished numismatist. She undertook fieldwork with Sir Mortimer Wheeler and worked at the British Museum producing an impressive number of papers on numismatics. 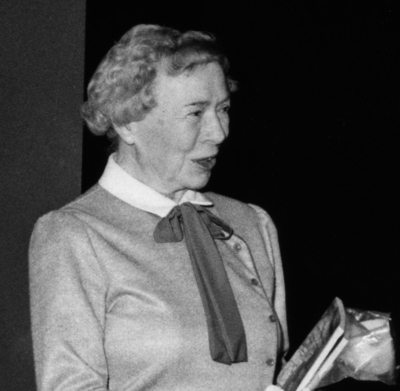 Her reputation as a numismatist was sealed with the first scholarly catalogue (5 volumes)of the Roman Imperial Coins in the Hunter Coin Cabinet (1962-82). "Excavation is never easy. The director of an excavation knows that, in our climate, he will always be cold and dirty ... And yet the excavation goes on. For all the trouble it brings are more than compensated by the excitement and thrill of discovery." In 1937 she began an important series of excavations of Roman sites, first at Castledykes in Lanarkshire, and then on the Antonine Wall, and sites in Dumfries-shire, Tayside and the Gask Ridge. Her findings from her excavations were always published in a readily accessible format and her 1960 publication, The Antonine Wall, has run to 7 editions and is still available. She produced a numismatist with the first scholarly catalogue of the Roman Imperial Coins in the Hunter Coin Cabinet (1962-82). 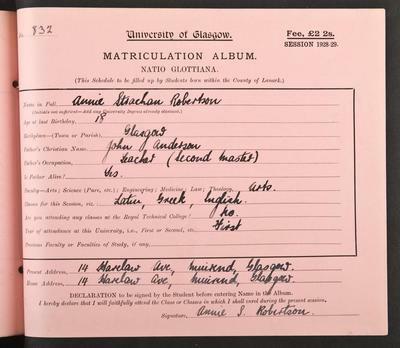 Her meticulous scholarship and innovative research brought a number of professional awards and she was one of the first women to be given professorial rank in the University of Glasgow. Keppie, L. 1997. Obituary. Proceedings of the Society of Antiquaries of Scotland. 127. World Changing Project, "Leading research in the fields of Roman archaeology and numismatics," in University of Glasgow World Changing (University of Glasgow, 2010); http://www.worldchanging.glasgow.ac.uk/article/?id=111 (accessed April 26, 2019). World Changing Project. "Leading research in the fields of Roman archaeology and numismatics." In University of Glasgow World Changing. University of Glasgow, 2010. http://www.worldchanging.glasgow.ac.uk/article/?id=111 (accessed April 26, 2019). World Changing Project. "Leading research in the fields of Roman archaeology and numismatics." University of Glasgow World Changing. University of Glasgow, 2010. 26 April 2019 <http://www.worldchanging.glasgow.ac.uk/article/?id=111>.